Are You Ready to Discover the Executive Care Difference? The Executive Care model provides an excellent opportunity to succeed. New franchisees are provided with six months of payroll and billing free of charge. We also grant territories of 500,000 people - twice the size of a typical senior care franchise. Executive Care opened its first office in 2004. We recognized early on that each situation is unique and that families face challenges in finding friendly, qualified and dependable caregivers that are dedicated to preserving the independence and dignity of their loved-ones. We also discovered that caring for a family member is not easy, nor is it something most family members are prepared to do. The burdens of family caregiving can lead to resentment, burnout, and friction among family members. Executive Care franchise network offers the freedom for family members to remain a caring child, spouse, or sibling. Starting a business on the right path is critical, and with the Executive Care Franchise Team on your side, we are confident you will be successful. Recession-proof business in a growing market: With population growth, demand for home care is greatly expanding and will continue to expand well into the 21st Century. A successful and effective business model: Executive Care's proven business model provides excellent opportunity to succeed. The model provides franchisees with a framework to meet customer needs, utilize key resources, and allow Executive Care to deliver exceptional customer value. An individual approach to franchisee support: Executive Care provides each and every franchisee with proven systems, operations and procedures manuals, software technology platform, resources and support. 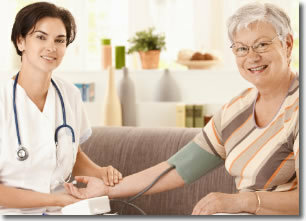 Our goal is to help all franchisees deliver the best possible home care services to clients. Executive Care provides its franchisees with a complete back-office support, including payroll processing, and billing of accounts. We take care of your back office so you can focus on marketing and sales! An experienced and dedicated team: The Executive Care team is diversified in its knowledge, skills, and qualities but has a singular passion – you! Large Protected Territories: Executive Care proprietary mapping and demographics software will help you find the best areas to set up and operate you home care business. Low startup costs and royalties: Start-up costs are as low as $69,100, including the franchise fee. Sliding-scale royalty rates without any hidden fees. Executive Care Opportunity: An opportunity to make a difference in your community and build a successful and rewarding business. If this describes you, and YOUR goals line-up with OUR goals, we want to begin a discussion with you. 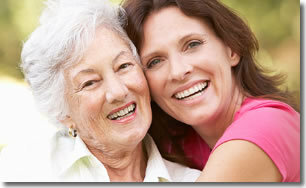 Click on Request Information for FREE info on how to open a Executive Home Care franchise today! Please Note: This Executive Home Care franchise opportunity and other franchise business opportunities, businesses and franchises for sale on this web site are not to be considered as an "offering", "franchise offering", suggestion or recommendation by Franchise Leader™. This advertisement depends entirely on the truthfulness of the information provided by our advertisers which includes, but is not limited to, franchisers, franchise brokers, franchise consultants and business brokers. Franchise Leader™ recommends that you consult a lawyer, financial consultant, accountant or professional advisor before buying a franchise or business opportunity or any type of business. By using this form or any part of our website, you have agreed to all terms and conditions of Franchise Leader™. Please review our Terms & Conditions for more information.